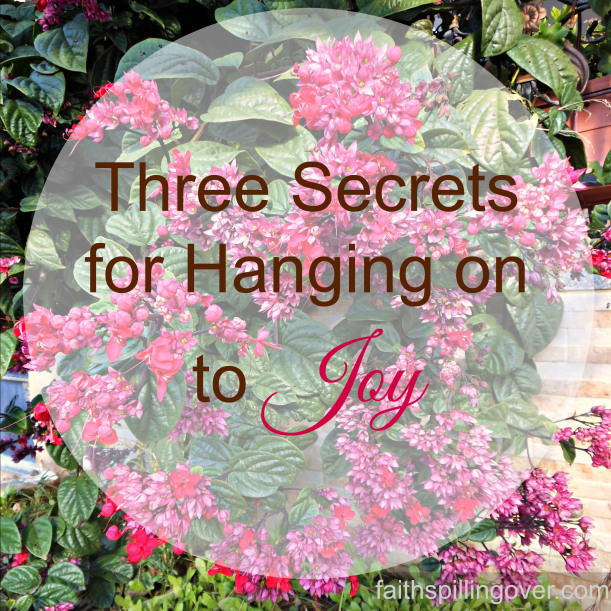 Joy might be the most important ingredient for an abundant life in Christ, yet it’s the one we lose most easily. I should know. I lost mine at the mini-mart last Thursday. I’d hoped to make a lightning-quick convenience store run to pick up a few items I needed before leaving town. As I zoomed my cart up to the check out, the woman in front of me was just paying for her order. Perfect. However, the lady then asked for cigarettes. She got out a bank card to pay for them, but the machine wouldn’t take it. The checker proceeded to just wait. Five minutes turned into fifteen as he kept trying her card. Only one register was working, so other customers lined up behind me. Thanks for sharing this, Lisa. Blessings on your weekend!